Aqua-Tech is Walking for a Future Without Breast Cancer! | Aqua-Tech Sales and Marketing Inc.
Aqua-Tech is Walking for a Future Without Breast Cancer! Home / News and Events / Uncategorized / Aqua-Tech is Walking for a Future Without Breast Cancer! 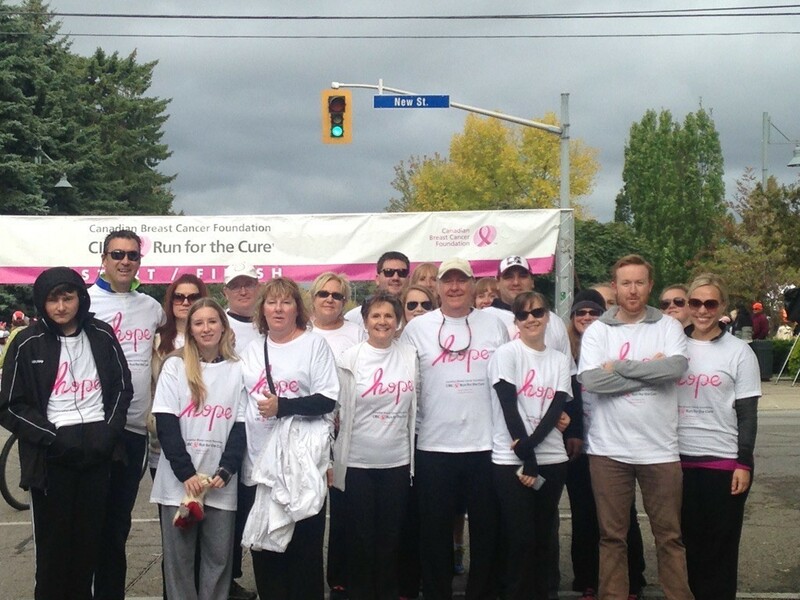 On October 4th, employees along with family and friends participated in the CIBC Run for the Cure 2015. Team Aqua-Tech joined 6,000 other participants from the Halton Region to walk a 5K race in support of Breast Cancer Research. With generous donations from our business associates, along with donations from family and friends and a corporate donation match from Aqua-Tech Sales & Marketing Inc., Team Aqua-Tech was able to fundraise $15,425.00 !! We would like to take this opportunity to thank all those who donated or gave their time to come and join us for the walk, it was truly appreciated! We had a great day with awesome weather, walking for an amazing cause!